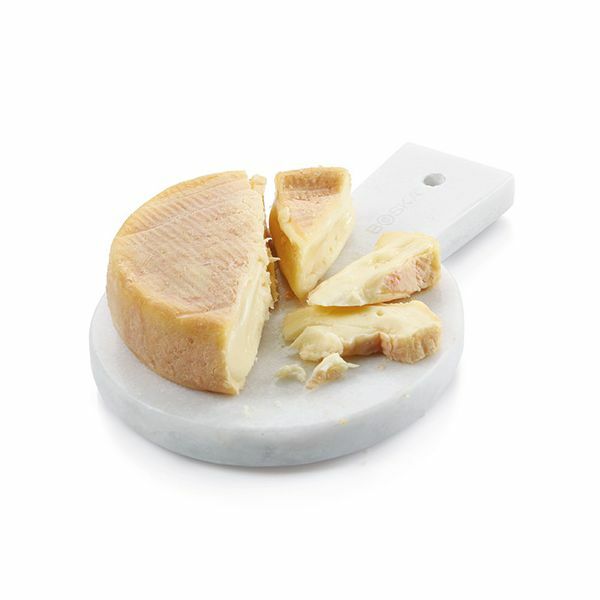 This rounded marble cheese board is ideal for serving cheese. 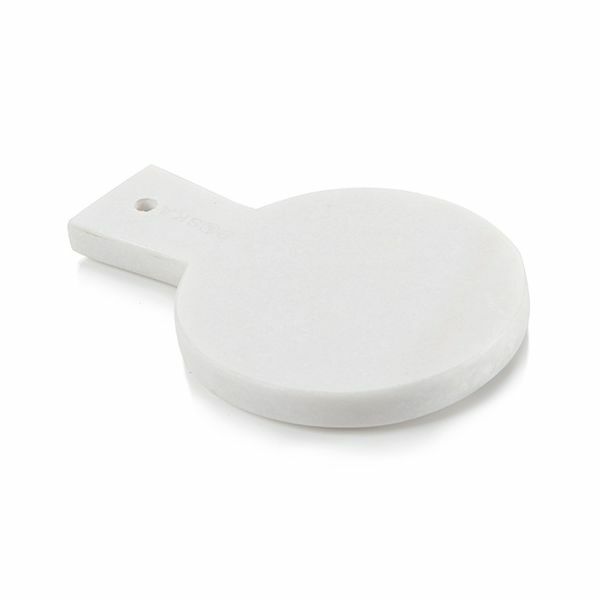 The marble prevents odours being absorbed and prevents bacteria from forming on the surface. The polished marble can be washed by hand in soapy water or placed in the dishwasher. 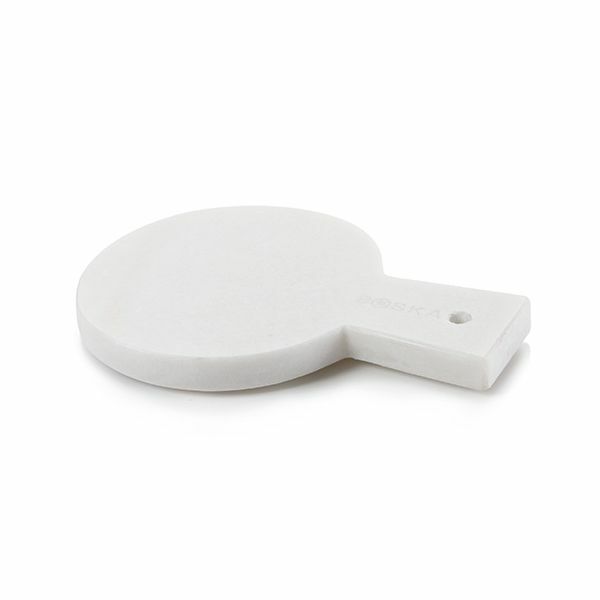 The handle of this rounded marble cheese board is easy for serving and makes storing simple due to the handing loop.